Refinement is found when the best of things are woven in symmetry with effortless polish and tranquility, and fused with local flair and styling. 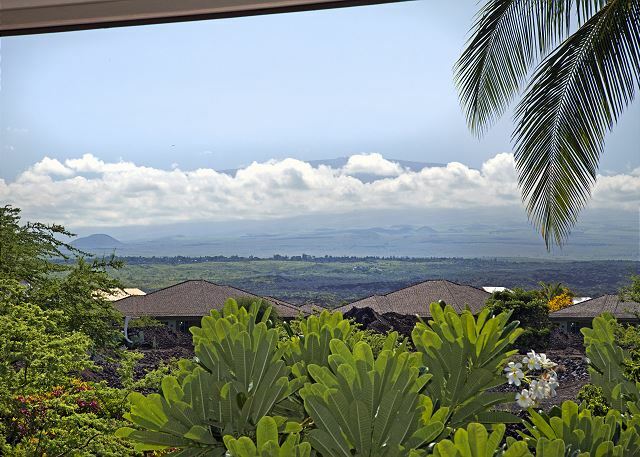 Our KaMilo Property lands your Big Island vacation into cultured sophistication, with ease and élan. Upon entering, one senses the mastery of a welcoming space. Their sight is immediately caught by the expanding view through the room-width invisible pocket sliding doors leading out to the spacious lanai with BBQ, and the bright and generous corner window that brings in soft light of the green serenity beyond. Excitement builds as one is drawn outdoors, where they foresee the hours they may spend in this northeast-facing exterior space, enjoying soft breezes and morning sun. The shifting fronds of the palm trees confirm the fortunate arrival. Get ready for this 4-Bedroom, 3.5-Bathroom home-base to meet all your vacation expectations. 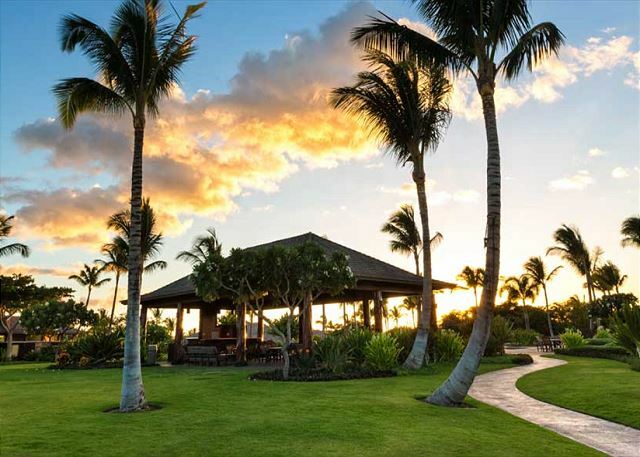 From incredible meals conducted within the sizable master-chef kitchen, to elegant dining savored at the exquisite table for eight, to the tropical fortune of sipping coffee or cocktails with plumeria at eyelevel and Mauna Kea on the horizon, our luxury property both excites the senses, and calms the nerves. 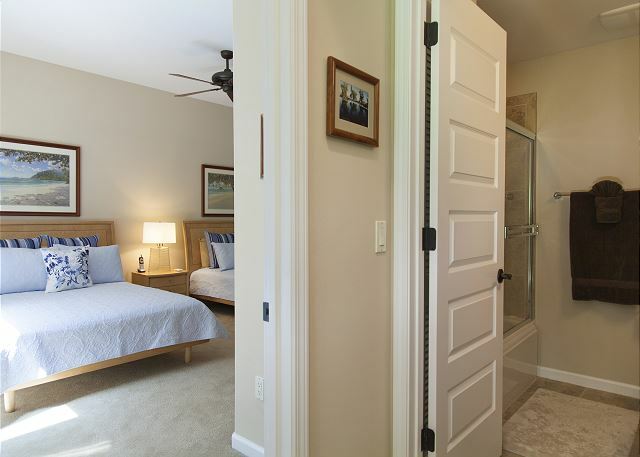 A main level Master Suite, conveniently located just passed a convenient powder room provides a retreat for those who may want to limit using stairs, along with the accommodation of two double beds, ample closet space, and an en suite bath. 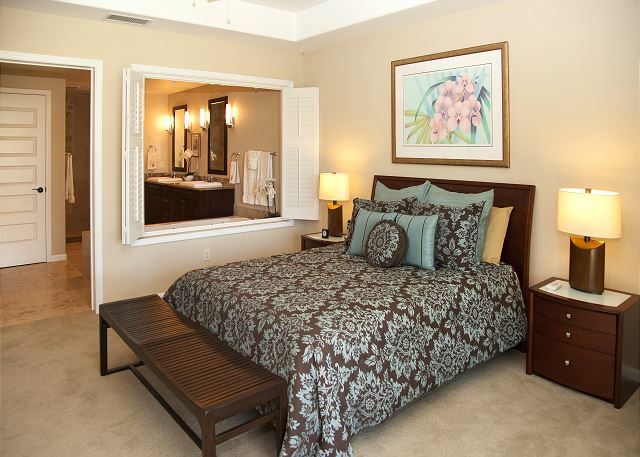 Downstairs, the main Master Suite exudes a fusion of modern style, clean-line artistry, and a warm décor. 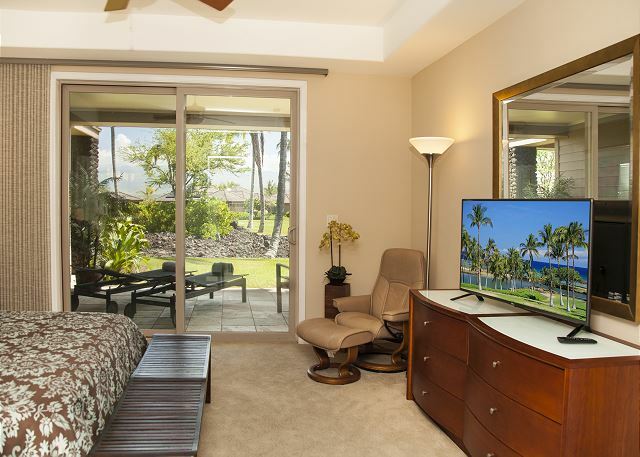 From the grand Master Bath with its double vanity and soaking tub with a breezy view, to its own lanai looking upon practice putting greens and blue sky, the Master Suite quietly commands the sense of indulgence for the discerning couple. Two other lower-floor bedrooms complete the total possible 12-person sleeping capacity. 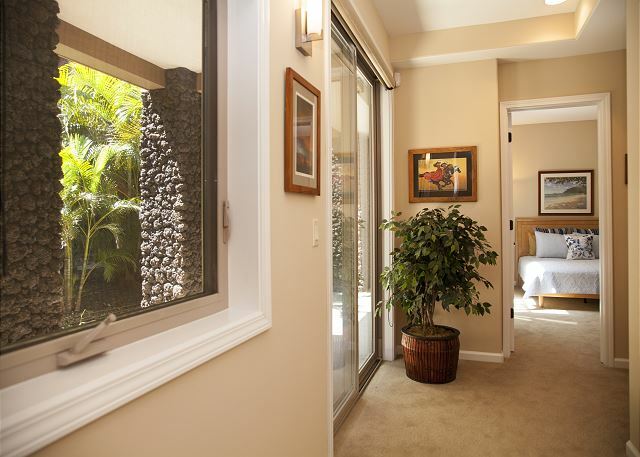 One large room, with two Queen beds and its own private and enclosed alcove for sun salutations, extends down the hallway and shares an ample full hall bath with a window-lined smaller room just off the stairs overlooking the putting greens and Kohala Mountains. This downstairs feels like its own resort getaway. Getting out to the incredible surroundings of the KaMilo development means a lovely walk to the recreation center to float in the free-form pool, soak in the hot tub, swim laps in the dedicated lap pool, or work up a pre-dip sweat in the exercise room. 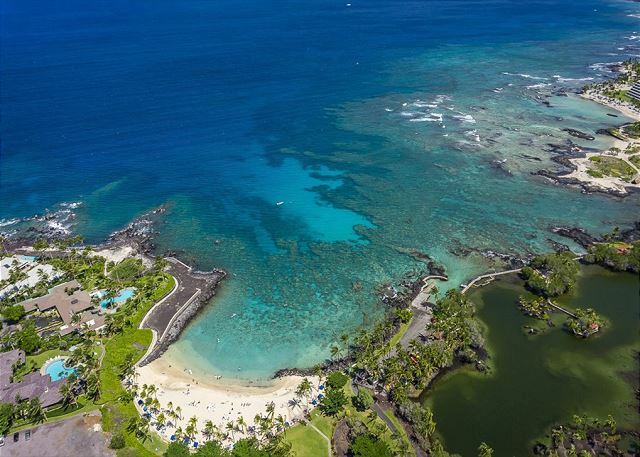 Sensational snorkeling is a few minutes’ drive to the Mauna Lani Beach Club, where soft, lapping waves are safe for young and old alike, and the adventurous swimmer can lap around Winona, the resort’s own catamaran anchored and ready for sunset sails. The local turtles may accompany you. And when food and drink are needed, Napua is a grill and bar by day and a sophisticated and romantic restaurant by night. 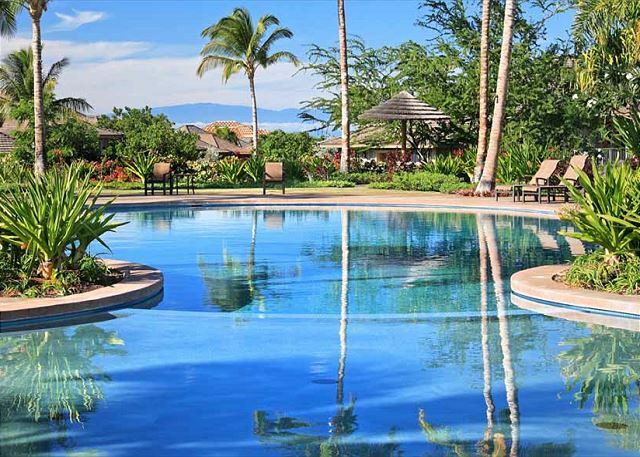 The Shops at Mauna Lani is a convenient onsite plaza for dining, snorkel rentals, groceries, clothing, jewelry, as well as twice-weekly free Polynesian entertainment. Beyond the resort one finds mountains, beaches, valleys, waterfalls, shopping, coffee plantations, zip lines, helicopter rides, and historical interest. 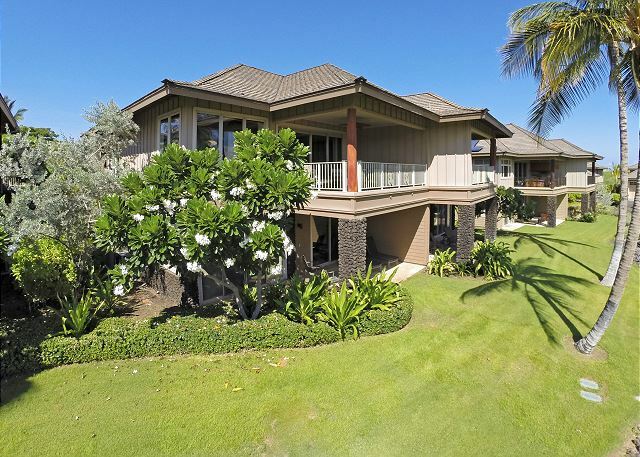 Together, all the amenities for this stunning KaMilo property blend family, friends, and memories into a Hawaiiana fusion that provides an incredible experience not to be forgotten. This was a beautiful house and great location for our group of 11 (7 adults and 4 children). As you see in the photos, the upstairs has an open-concept, modern kitchen, large island with bar stools, dining room table seating for 8, and family room with an adjacent patio overlooking the landscaped backyard area. There were plenty of beach towels and toys. Cooler. Wifi. The beautiful community pool and hot tub were only a 2 minute walk down the block. The snorkeling was good at the private beach. Adjacent to the private beach are fish ponds including the “Queen’s pond” as it was referred to by people who we met while walking along the paths. If you dip your feet in the Queen’s pond the fish will nibble at your feet. The Foodland Farm grocery store and shops are less than a mile from the house; it’s a nice shopping and eating area including the Tommy Bahama $$$ restaurant and store and the Under the Bodhi Tree $ restaurant. We recommend both restaurants. The Fairmont Hotel is also less than a mile in the other direction; we enjoyed lunch at their beach restaurant. Our group traveled the island - botanical garden, Waimea farmer’s market, volcano national park, Hapuna Beach, black sand beach, seahorse farm, water falls, zip lines, and brewery visit. We shopped at Costco and Walmart in Kona for basics. In nearby Waikoloa we shopped at the King’s and Queen’s outdoor malls. Wish we could have stayed longer. We had a lovely large home with enough beds for our family of 11 people. The beds were comfortable. There were enough beach towels for all of us. The kitchen had plenty of cookware and dishes. The service we received from the Shiwota Resorts & Properties management was excellent. We had a few items that needed to be addressed and they were done so quickly. The unit does need some maintenance and repairs done, but the unit is very nice, the appliances are modern and very functional for the most part. The lighting on the outside stairs needs some maintenance, but is still functional. The view is nice and the grounds are also lovely. One of the pools was closed for repairs part of the time, but the second pool was still available, which helped since we all enjoy using the pools. The location is close to the ocean and near restaurants and stores. Over all this is a great unit that does need a few repairs/maintenance. I was so pleased with the beautiful accommodations. We had 8 adults and 3 kids and the layout was perfect. Everyone had enough room and privacy to relax. The location is great. 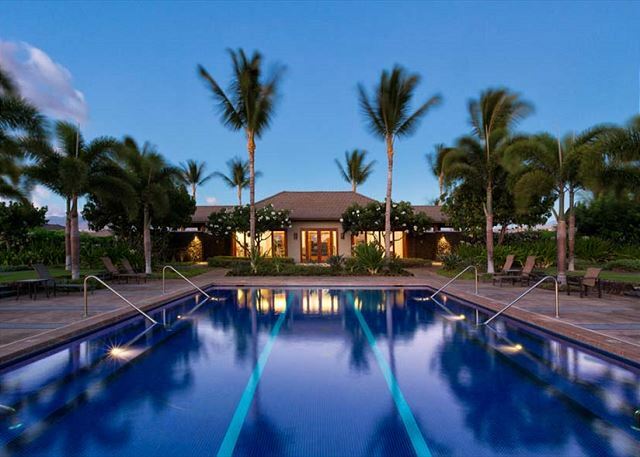 The access to the family and adult pools, fitness center and private beach was incredible! We would stay here again in a heartbeat!! The management is wonderful and right on point. Any issues we had were taken care of right away. er. It was quite hot in August so eating on the lanai was too hot in the evening. 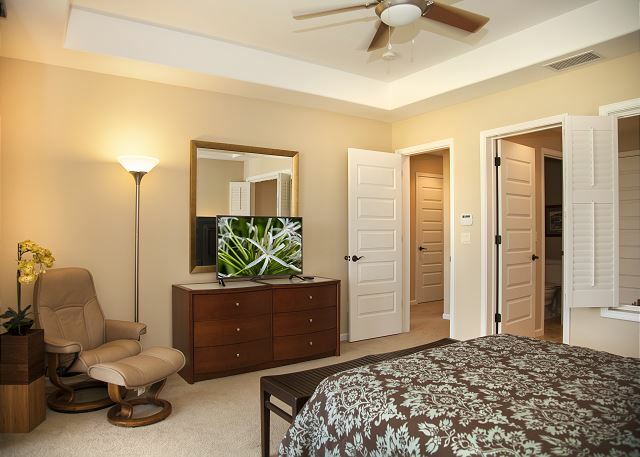 The lanai would be greatly improved if there was a fan in the ceiling as there is in some other units on the property. Loved, loved, loved this house and our stay on the island of Hawaii. 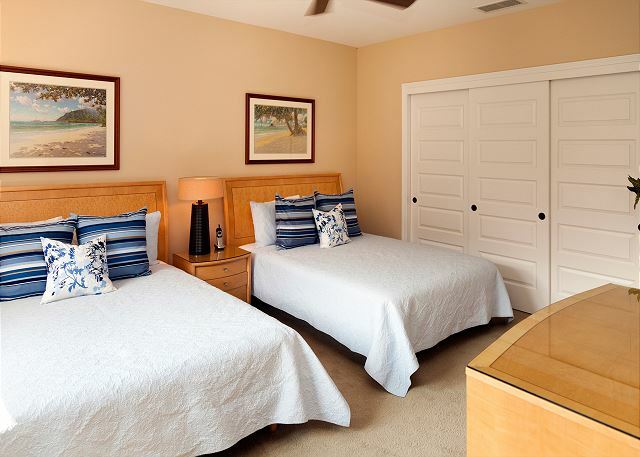 We are a large multi-generational family who love to vacation together, and this home was extremely comfortable. Shig was helpful, the pools and workout area clean and rarely busy. Having the Fairmont Orchid within walking distance was also a plus...yummy adult beverages! Our son-in-laws appreciated the golf, and we all explored the nearby beaches. Easy location for exploring the island. We all had a wonderful time with our stay at KaMilo 222. It was very convenient for us to gather with others that were staying at nearby house. Eight golfers from Japan on their annual outing to Mauna Lani. This is the 3rd year we are staying in the homes managed by SRP Management. This is a beautiful home and all the amenities were perfect for our group of 11! There were plenty of beds and space for a large group. Great overall experience. Rental is spacious and clean. 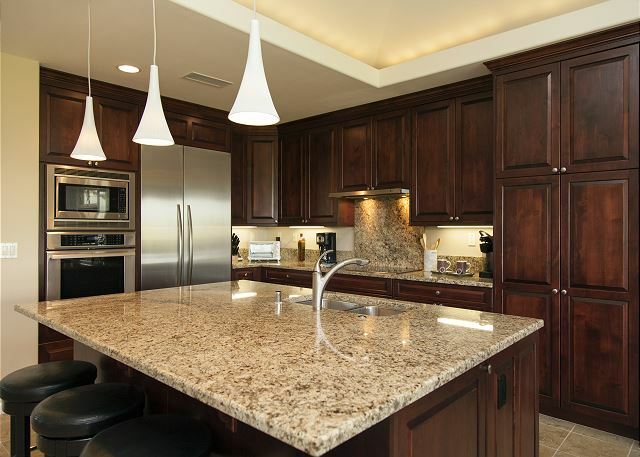 Kitchen has sufficient appliances and service items. Everything functioned fine. Only minor complaint is that the rental is thin on beach toys and accessories when I compare to other rentals we have stayed at. 6 Boogie boards but 2 were already broken. No working snorkel gear (2 sets were there but broken). So just a bit light on beach accessories but other than that the location, property and property management were great. This was a great houseperfect for the 3 families who stayed here. Nice layout with 3 bedrooms downstairs and one on the main floor. Outdoor living area was great although make sure you close the lanai when grilling as the smoke rolls right into the house. Pool area was awesome with a huge green space for the kids to run around, kick the soccer, bal, etc. Pool is a 2 min walk from the house. There is a 2 car garage that will fit smaller cars/SUVs, our Expedition we rented did not fit, and you can easily park 2 outside of garage. Plenty of parking, but if you need more the community overflow parking was only the same 2 min walk and located adjacent to the pool. Only thing that could have been better was a little more attention to details on available amenities. Lots of mismatched pots and pans. Some other properties we stayed at also had some basicis stocked (salt, pepper, olive oil, foil/plastic wrap, etc.). Minor things but a trip to Costco to stock up some of these items would be the only improvement for this property. Highly recommend to anyone looking for a large house to accommodate a large or multiple families. Pictures do not do this home justice. It's so much bigger than it appears in the pictures. As soon as you open the door and see all the open space you begin to understand how 12 people can move around comfortably. this home location is awesome. walk to the resort pool and hot tub. 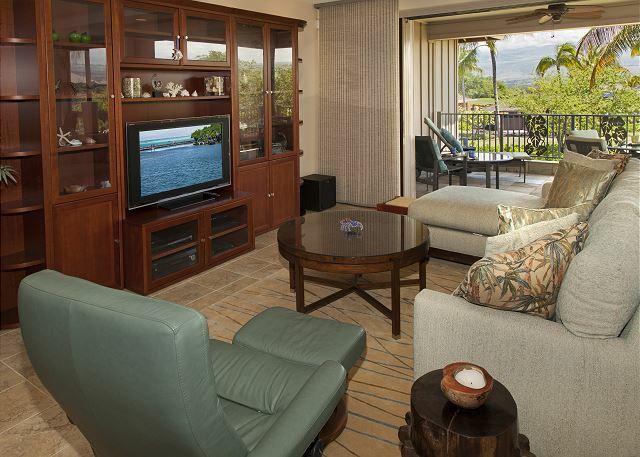 a mile away form a great private beach with great whale watching and snorkeling. the management team was fantastic and fast to respond to any questions. we will be back! Overall a great experience, from booking to departing. Only down falls were minor items. Butcher block knives that need to be sharpened. A couple of burnt out light bulbs, dishwasher lower rack requires repair, bbq grease tray cleaned out. Thanks. When the property manager was called for wine glasses because of a lack of them, he was over immediately to provide a new set. Property manager also provided a late check out as required, which was further greatly appreciated. Great place for three couples celebrating landmark birthdays. Everything you need is included. Location is just right. The pool and rec center are great. Access to the beach club is fantastic. The only real downside is the continuing construction. 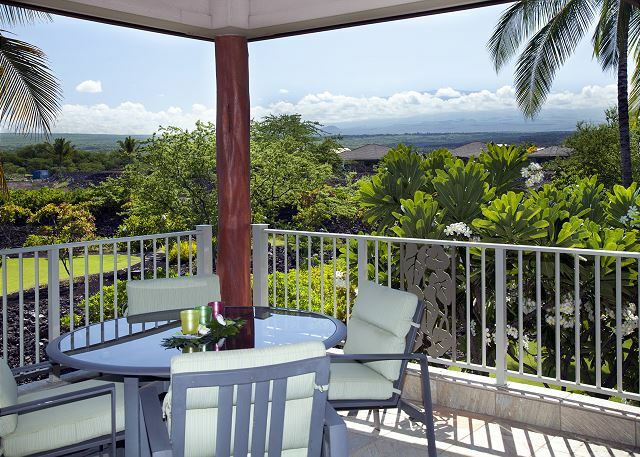 It was closer and more noisy than expected and pretty much ruled out using the lanai on weekdays before evening. Only that prevents a 5 star overall rating. Recommended with that caveat and no reservations after construction is done. Our vacation was great. The property is wonderful and good location although we did have some probelms with the oven not working properly. Shig the property manager was very responsive to our needs. Had a great time at KaMilo 222 and 224. Shiwota Resorts and Shig/Maya do a great job - everything we could possibly need was available from the gas for the grills which was clean and usable to beach amenities. The access to the beach club and the pool pavilion are great areas. Thank you for making our reunion and anniversary a memorable experience. and access to any outside activities. We would like to be back there as soon as possible. We had a wonderful stay...big enough for the our families to bond and de-stress. Kids enjoyed the private beach and pools. Kids chipped in making breakfast and snacks. Laundry on site was a plus too. We will be back for sure. Beautiful home with all the amenities you need. Very comfortable for 9. Great location with private beach for community. Can snorkel right from beach. On site paddle board and kayak rental were convenient. Short walk to beautiful community pool that has toddler pool. The house has a nice view of the golf course and mountains. Shig, property manager was very attentive and the cookies at check in were yummy. Everything about our stay was perfect and we would not change a thing! Just a few tips for adventures... The lava bikes in Kilauea are a lot of fun. Although it is difficult to see lava during the day you can see the volcano well. It is a difficult bike ride for little kids as the return is up hill against the wind so plan accordingly. I would not recommend going in the afternoon only morning or evening. Also if you do a snorkeling trip by boat, make sure anyone prone to being seasick takes medication in advance. It is a beautiful property. The house is well appointed. There are plenty of restaurants and shops close by. My family thoroughly enjoyed the private beach access and the pool. We didn't realize the island was so large. 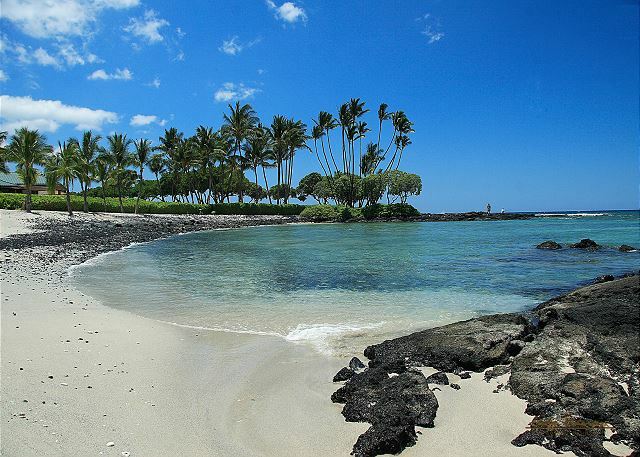 So if you plan on going to Hilo and volcano national park, plan for a whole day. No major problems. House was ready upon arrival, clean and ready to go, Arrival instructions were clear and helpful. We had a great experience staying in KaMilo 222 over the Christmas holidays. The property manager was very helpful in answering our questions and responding to our email/phone calls before and during our stay. Everything was clear in terms of payment. It was easy to find and access the unit. Everything was very clean inside the unit and ready for us on arrival - the kitchen is well stocked, there is an excellent air conditioning system, all the appliances worked (other than the fridge alarming, as the door was slightly out of alignment), and the kitchen had all the utensils and cooking implements you could need (although a slow cooker would make an excellent addition). The beds were adequately comfortable with enough pillows, and there were nice white towels to use in the bathrooms. Altogether a very clean and comfortable unit. The location was excellent - a short drive to the beach or grocery store/restaurants, and a 2 minute walk to pools and fitness centres, garbage/recycling centre. We've stayed at KaMilo twice and each time has been a terrific experience! Shig at Shiwota Properties always makes sure we have everything we need, and the rentals and property are beautiful and well maintained. Great Property for our family. Plenty of room and very quiet. We were traveling with 4 of our adult children and everyone had their own space. Loved the beach access and nearby shops. Halloween party at the shops at Mauna Lani was very fun. You won't be disappointed with this home. Could use a griddle though. Our family spent 12 days in this very beautiful home. 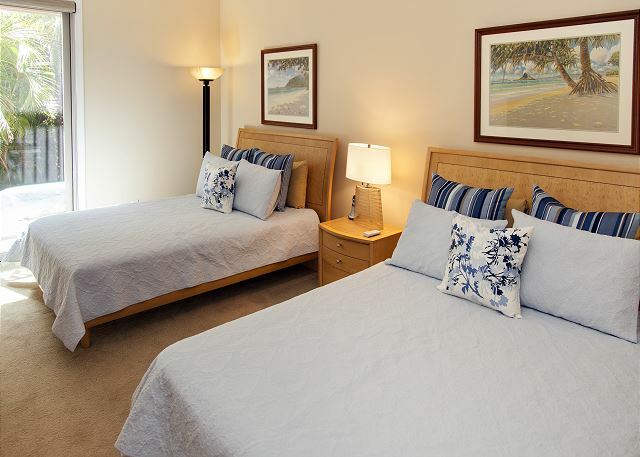 It was very well maintained and was an enjoyment to stay there. The property is very comfortable. We had 12 adults and the property was large enough to give every individual in my group some privacy and space. Very enjoyable! We loved our stay at the Mauna Lani! The house was spacious., clean, and very accommodating to our wants and needs. Could not have asked for a better experience from Shig and Kamillo ! Highly recommend would not hesitate to stay there again. 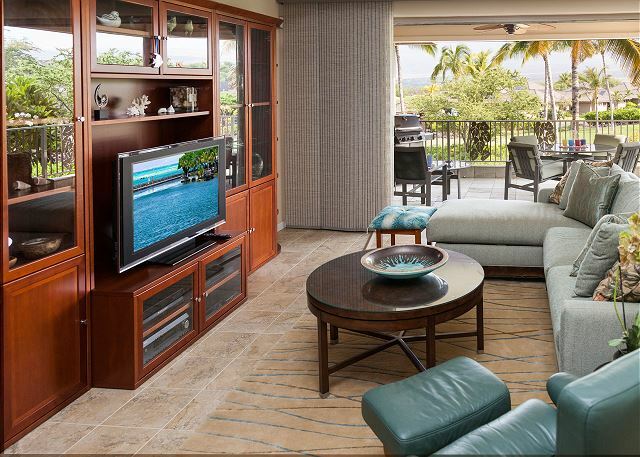 My family of 11 varying in ages from 84 to 11 came to Hawaii and the home was perfect for us. It had all the amenities, fully stocked kitchen, and the home was perfect for my dad who has limited mobility. The location was only 30 minutes from the airport and great. You need to be careful of outdoor critters. I think the area is in general has this issue. Spacious property that fit 10 people, could've comfortably fit 12. Approx. a 4 minute walk to community pools. About 5 min. drive to grocery and shops. About 10 min. drive to private beach club. Within 15 min. drive to great beaches. Kitchen fully stocked. Great unit and everyone had a great time. This is a beautiful home with lots of space in a quiet neighborhood close to trails, hotels and amenities. The home was well maintained, organized with a relatively well stocked kitchen. The oven was clearly marked as not working and awaiting maintenance so the only note I would make is that it might have been helpful to be notified in advance of any non-operable appliances. As we didn't need to use it, it wasn't an issue for us. As we have stayed in other VRBO, AirBnB type locations, it would have been an added bonus as well to have the welcome folder include highlights and recommendations nearby maps and directions to trails and beaches, etc. Not a big deal but a nice plus that we have found particularly useful when you are from out of town. Our stay in Mauna Lani was wonderful. I was able to have my whole team stay together which was a great bonding opportunity.